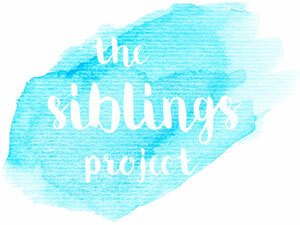 I have always loved reading posts from blogs I love doing their monthly The Siblings Project. 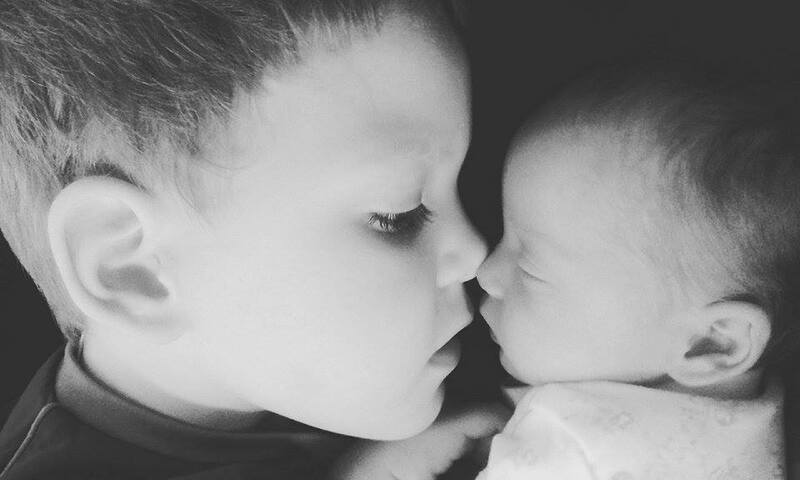 Hearing all about how their siblings are doing together, the ups and down and all the adorable photos which accompany them. I have been a bit excited to join in! I kept forgetting over the last few months and I am delighted that I have remembered this month. D and Baby S have had 3 months together now with most of that time being at home since D finished pre-school just 2-3 weeks after Baby S was born and has only gone to school this past 2 and a bit weeks. D has been smitten with her from the moment he met her in the hospital and sang her the same song as when she was in my tummy. I was almost in tears! It was the magic moment of their first real hello and I will forever remember how special it was. 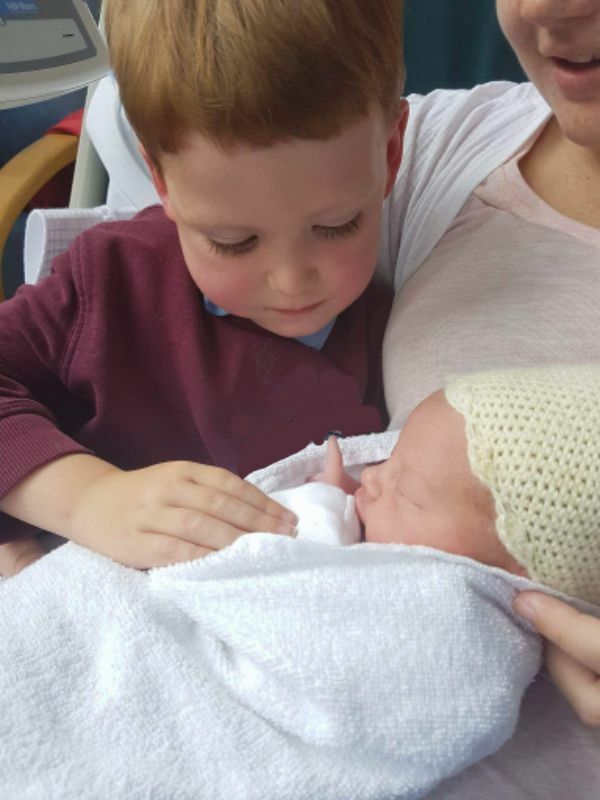 Ever since we brought her home he has been the doting brother. 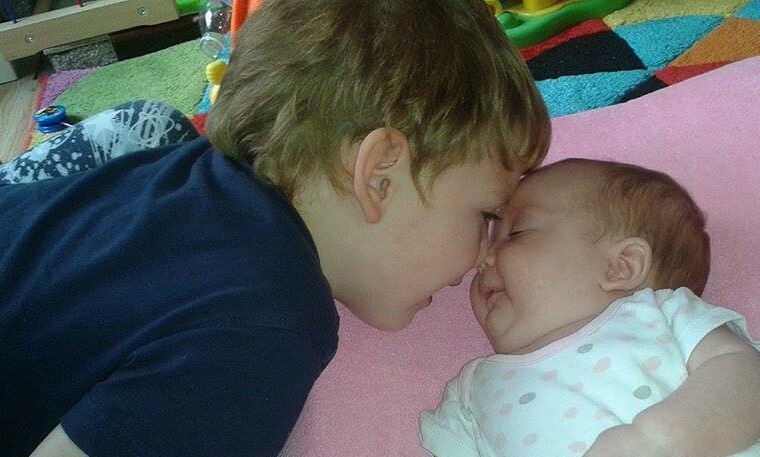 He worries any time she cries and he loves to just look at her. He is very often found sitting near her and holding her hand or talking to her. It is very clear that Baby S feels the same way. She loves D and always has big smiles for him no matter what he is doing. D also got the honor of making her giggle for the very first time with his infectious laugh! He was so delighted and I am glad they got to share that special moment together. A moment I will always remind them of. They both love to share butterfly kisses and this black and white photo of them both doing just that is my all time favourite (so far). Another one of my favourite pictures of them both is this picture scene of them both flying up, up and away which D wanted to join in with since Baby S was getting one! 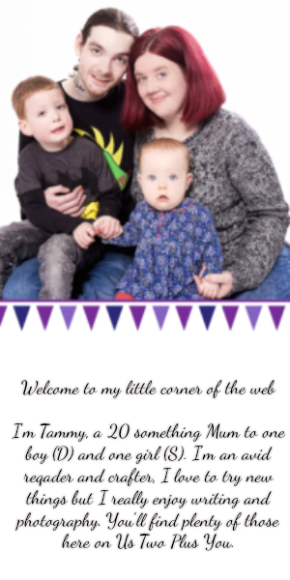 It made for some seriously cute photos! 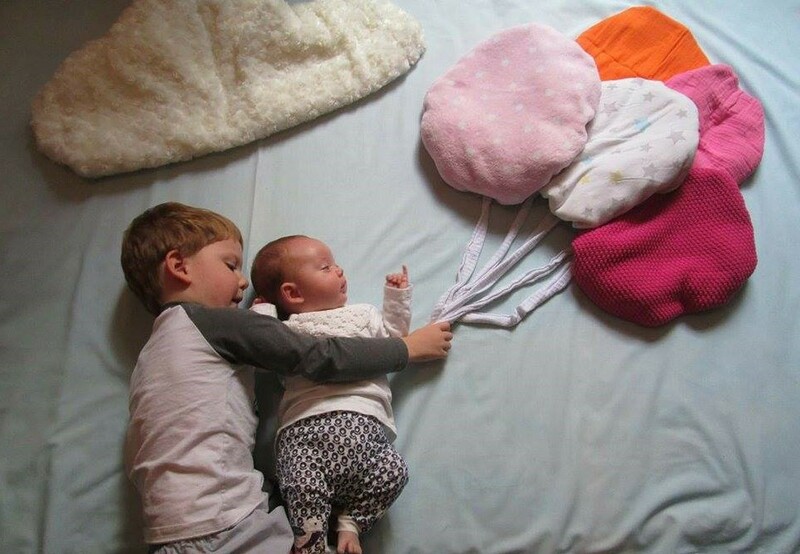 Over the past few weeks Baby S has started to an interest in toys, especially the hanging variety.D has been waiting for the day she wants to play with'proper' toys but he's happy to lie on the floor with her while she plays and he talks while she has some tummy time. Like above when she had rolled over from tummy time. Baby S is still a bit small to really miss D while he has been at school. D however misses her a lot! She is always the first one to get a hug and kiss before school.She is also the first thing he wants after school. I carry her in my sling during the school run and he always says 'can I see her mummy?' the moment he reaches me. Don't get me wrong life has not been a bunch of rainbows the last few months and there are times when D has went over and hit the bouncer where Baby S is asleep or bangs toys off the floor simply to wake her up. Sometimes Baby S will get her own back too! She grabs his arm as hard as she can until he pulls away. She has even left scratch marks once or twice. However the good far outweighs the small incidents and they love each other loads! I'm looking forward to documenting them over the months to come.